Are you going to fish for flounder, redfish, tarpon, snook, sharks or sea trout? Jetties and piers should be two of your topmost choices. Did I say about bluefish? 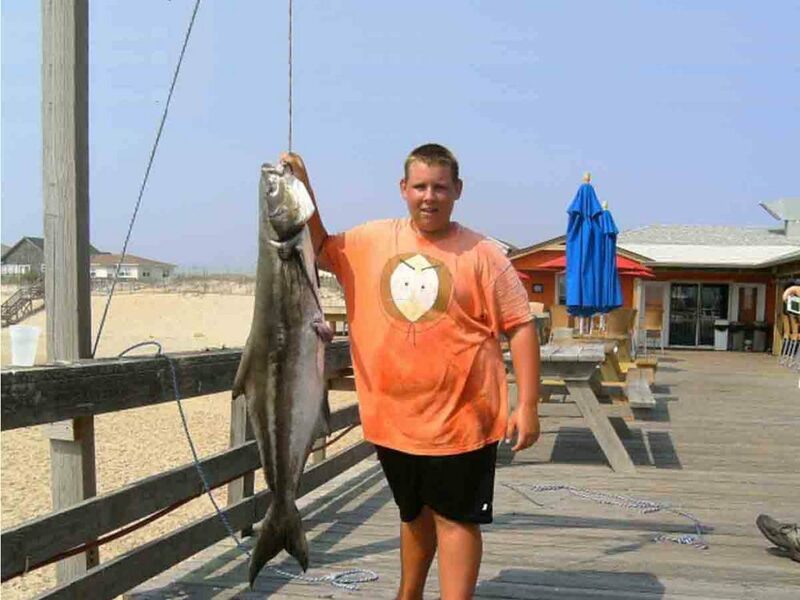 Not only bluefish but also more and more fishes such as herring, skippy, yellowtail, blue mackerel, garfish, redfish and pompano are easily found near jetties and piers. Believe it or not, during certain times of year, so many fishes gather near the underwater of jetties and piers that you can even hear the commotion above water. Why do fishes love to stay close to the jetties and piers? It is because they naturally feel good to cling to some giant chunk of structures. Jetties and piers exactly give this facility. Interestingly, you can fish there all day long. We suggest you use a 4 to 6 kg fishing rod and reel. Do you know light baits are ideal in fishing near the jetties and piers? Since you are using light baits, you may need to use a sinker in case you face strong currents. Needless to say, a light tackle will be handy and comfortable even if you will walk in the beach near piers and jetties to fish. Use a spinning rod so that it becomes easier to cast at the fishes. When it comes to selecting a line, use a 10-pound braided line with a 30-pound monofilament leader. A 10-pound braided line can help you cast a long distance. With your spinning rod, you can use a small baitfish, shad-tail grub or soft plastic shrimp lures. But if the water in fishing area is clear, fishes may see the line and become line shy. In such a case, using a fluorocarbon leader is expected to be more productive because fluorocarbon is nearly invisible and comes with some other advantages such as low stretch, braid’s sensitivity and hook-setting abilities. You can use live shrimp with it. But why is water clarity important and related to your jetty and pier fishing? The reason is – many fishes will not bite your bait or lure after they detect the fishing line and thus, clear water may affect your fishing efforts. Two factors change water color – wind and amount of shipping traffic. If strong wind blows for few days or even yours into the jetties and piers, the water may get murky. The water may also get murky where the amount of shipping traffic is high. So, it is better to be equipped for both conditions before you reach your favorite spot. As you may guess, you need lures or baits that you can cast long distance and can go up to any depth. Specific bait may vary depending on specific fish. For example, you may get better output if you use spinner bait for the Redfish. Brightly colored lures are typically ideal for casting and retrieving from jetties. Besides prawns, squids can also help. It is true that it is a good practice to avoid crowed beaches and jetties. But still, some spots are just better than other spots. In some places, you will see a lot of rockpiles, downed trees and other objects. Why did I just say that? The reason is – these places naturally hold more fishes. The marker buoys in the channel are also their favorite spots. You know you may use a boat or walk in the beach to find your spots. Sand trout are commonly found in jetties and piers. So, if you are planning to catch them, use a shrimp or mud minnow rigged 3/8-ounce jig-head for better results. The shrimp pieces can help to get a higher bite rate. Will you be releasing extra fishes? It is easy to get fishes near jetties and piers. So, you may often get more fishes than you need to eat. Some game fishers are so kind that they will first catch a fish, take pictures with it, kiss it and release into the water. Some other game fishers may do the same except they can keep some as food and release the rest. It is a good practice to release extra fishes. Some fishes do not taste good. So, you may find no reason to carry them to your home. It is better to release the not-so-good-taste fishes. Since you may need to fight before dragging a fish into your boat, the fish may get tired. It may get so tired that it may be unable to swim when you release it and eventually die. To fix this problem, put the fish in water and move its tail just the way it swims. Keep doing it. As soon as you see it is feeling better and energy in it, you can let it go. Some spots may be more favored by some fishes. For example, the bulls and big sand trout love to stay near deep holes and boat pass areas. Avoid these three things/spots as it is hard to achieve high catches in these spots – high boat/ship traffic, big waves and slick rocks. Another very important issue is – beware of your personal safety while you are fishing from a small boat or ship. If you get near big ships such as oil tankers, your small boat/ship may drown. To avoid getting your bait/lure snagged, cast slightly up-current so that the bait/lure quickly reach to bottom. If it can quickly reach bottom, it will get too little chance to get snagged. Another good trick is – finding a spot(s) where baits/lures usually do not easily get snagged. Remember that a heavier line such as 17 to 20 lbs line sinks slower than a lighter line such as 12 to 14 line because one has wider diameter than the other. Why do rockwall, pier, surf and jetty anglers prefer to have slightly longer rods? The reason is – these rods offer better line control and castability advantages. 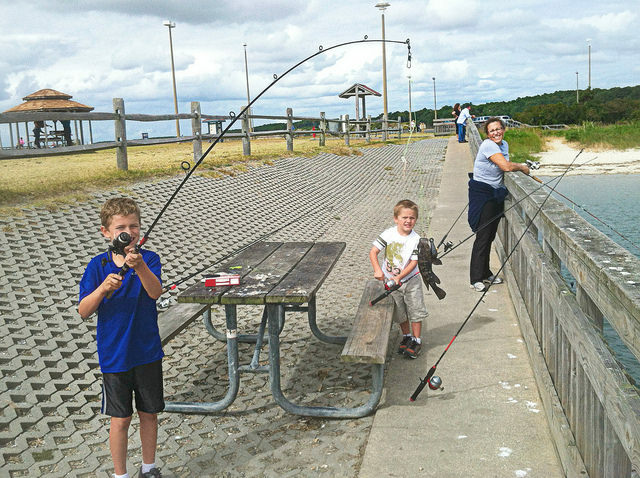 Fishing jetties and piers are suitable for people of all ages, especially for the amateur angler. So, do not hesitate to enjoy fishing near these great spots even if you are a newbie fisherman. While you are targeting mullet, use a tiny hook. Bigger fishers may stay deeper. While targeting them, let your baits/lures go up to that distance. 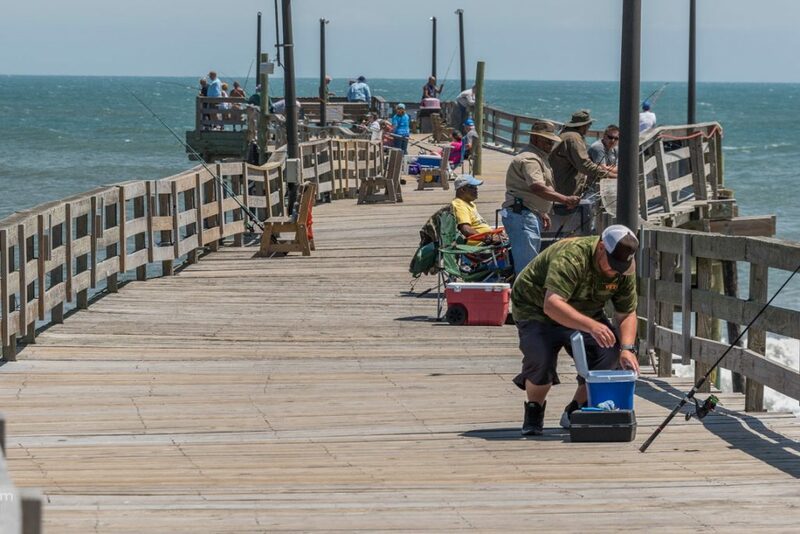 Middle tides are the best tides to fish near jetties and piers because fishes often come to search for food with these tides. Do not forget that you can catch squids too. Many anglers catch squids by casting and retrieving a squid jig from a rod and reel.